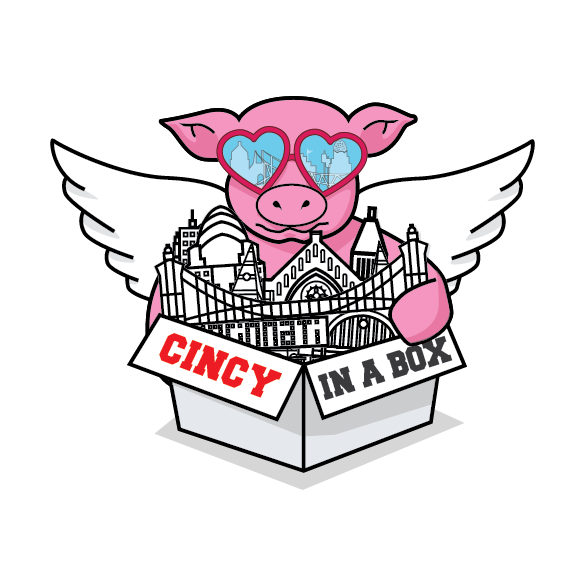 Cincy in a box puts a local twist on corporate gifts that your clients will remember. When you want to give the taste of Cincinnati and support local makers, our Cincinnati custom gift boxes deliver. Cincy in a Box is The Queen Cities newest, most unique way to share what makes Cincinnati so special. From your sales conference to holiday gifts, new-hire perks to client thank-yous, we’ll help you curate a meaningful gift that leaves a lasting impression. We can add a personal note to each box and with delivery available to hotels, offices and event venues, we’ll do all the work for you. Let us run all over town and do the heavy lifting for you. We can create a custom box with your company logo. Below is an example of a custom corporate box we recently created. Click on image to enlarge.